ALESSANDRO VITTI, is an Italian Artist. He was born in Taranto in 1978. He has illustrated italian comic book such as BRENDON and SAGUARO, for SERGIO BONELLI EDITORE. He has worked popular books such as Interior Artist on various comic books, such as CAPTAIN AMERICA & HAWKEYE, AVENGERS ARENA, FEAR ITSELF: HOME FRONT-NEW WARRIORS, DOCTOR VOODOO, DAKEN for MARVEL COMICS, and many more. 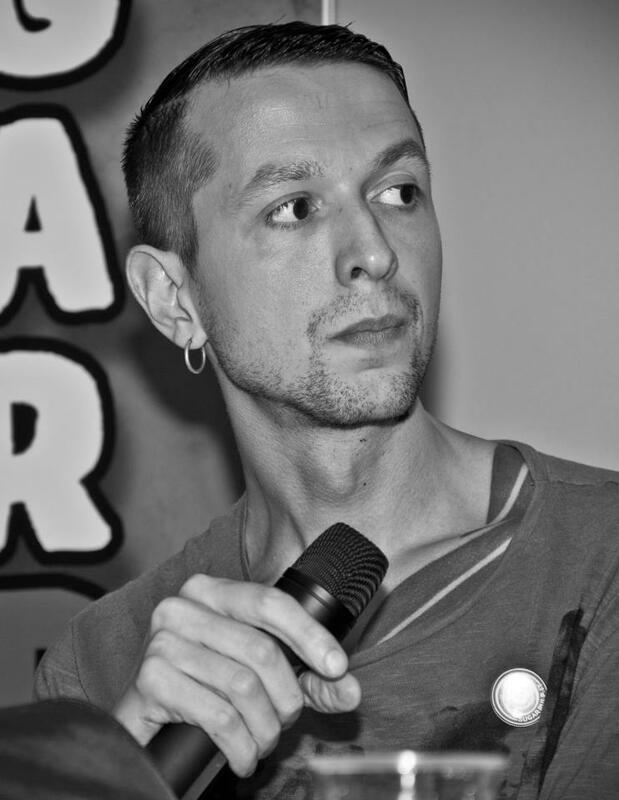 Alessandro si co-creator of RED DREAD (LATERAL PUBLISH 2012), which is written by Matteo Strukul. It’s famous and important his work with JONATHAN HICKMAN on SECRET WARRIORS for MARVEL COMICS. He worked on RED LANTERNS, written by CHARLES SOULE, for DC COMICS. Alessandro has worked with PANINI COMICS to do the pages of comic book mini-series of Gabriele Salvatore‘s movie, IL RAGAZZO INVISIBILE. Alessandro currently lives in Reggio nell’Emilia, in Emilia Romagna, Italy.